California Chamber of Commerce policy advocate Sarah Boot will be participating in a California Consumer Privacy Act (CCPA) rulemaking workshop that is being hosted by the state Attorney General’s Office today in Sacramento. At the end of the 2017–18 legislative session, California passed the CCPA, which is a sweeping privacy law that applies to businesses of all sizes across almost every industry. It was rushed through the legislative process in the summer of 2018 without the benefit of input from numerous crucial stakeholders. As a result, the law is deeply flawed. Many of the CCPA’s provisions are unworkable in practice or will result in numerous unintended consequences. At the end of the 2018 session, the Governor signed SB 1121, a bill fixing a handful of the CCPA’s problems. However, many more fixes are needed before this law goes into effect on January 1, 2020. 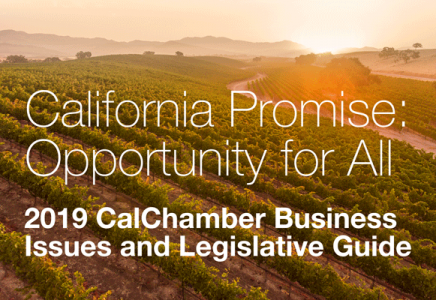 Boot will be representing a CalChamber-led coalition consisting of hundreds of stakeholders, including businesses, companies, local chambers, and trade associations that appreciate and understand the need and desire for consumer privacy. The CCPA unfortunately has multiple flaws that undermine consumer privacy as well as employee protections. This is the fifth of seven statewide forums in advance of the formal rulemaking process for stakeholders to provide feedback early in the process.